Rosa is one of two Launchpad artists with Imaginate, here she talks about her recent trip to Krokusfestival in Belgium. Our PhD student Katie Hawthorne is discovering the treasure-trove of the Scottish Theatre Archive at Glasgow University, and meeting with a raft of people from Imaginate's past. Imaginate is partnering with Merchant City Festival to present two Family Fun afternoons of performances and pop-up characters in Merchant Square. Funding success for Imaginate and PUSH partners to develop ideas over the next three years with PUSH+. Paul Fitzpatrick, Chief Executive of Imaginate, celebrates World Day of Theatre for Children and Young People with a blog about the importance of children as audience. Imaginate's statement following Creative Scotland's decision to reverse funding. Imaginate has won the prestigious International Award of The Stage magazine. Shona Reppe who is co-creating Imaginate's commission and recently took part in our EU-funded PUSH lab explains how it has started to influence her practice: "Baba Yaga is about wild women reclaiming the true meaning of the witch as a wise woman who lives without fear, and not a spidery two dimensional purely evil hag..."
We are delighted to announce that our latest commission, Baba Yaga, will be a co-production between Imaginate and Windmill Theatre Co (Australia), created by Rosemary Myers, Christine Johnston and Shona Reppe and co-funded through the Scottish Government’s Edinburgh Festivals Expo Fund. "As an Arts Management student, the experience at Imaginate was a very relevant one as I had the chance to meet industry professionals, experience the working atmosphere of a very-well established festival and to further develop important skills such as communication, team work and problem solving. I would recommend volunteering at this festival to anyone who is interested in a career in the arts!" News: The festival has a new name! 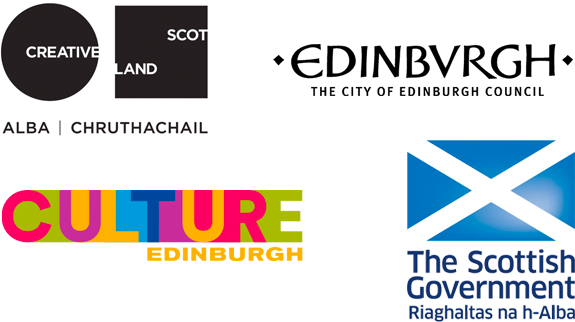 Our flagship festival is now called Edinburgh International Children’s Festival (formerly Imaginate Festival). This change reflects the fact that Imaginate not only produces the Festival, but also has a wider remit as a year-round organisation supporting artists to make new and exciting work for young audiences. Imaginate's strategic role within the sector will thus be emphasised, while the Festival's new name will help build awareness amongst audiences who are not familiar with our work. Our Festival Director, Noel Jordan, fills us in on his travels from the last few months.